Underwater sea walk is a unique activity that most of the tourists visiting Mauritius must give it a try. To get the best undersea walk, you should look for the most experienced marine excursion or water sports experts. Dealing with the professional will guarantee you the best underwater experience without worrying about your safety. The highly trained drivers will assist you to enjoy an enthralling and secure underwater walk on the seabed that is between 3 and 4 meters under the Indian ocean. Underwater Sea Walk is one of unusual activity that non-experienced divers can opt for while having the best fun moment in the Mauritius waters. It provides one with a lifetime opportunity to go down and blend with the captivating and beautiful marine life that include naturally well-patterned corals, breathtaking fauna and an array of sea fish. Even kids can consider this activity, and extra cautious guides closely monitor them as they walk on the seabed. You can make the underwater experience more exciting by choosing the option of helmet diving for those who are not well acquainted with deep sea diving. 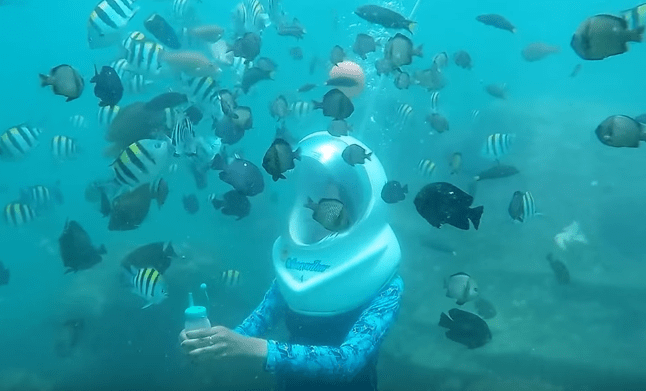 It is possible to descend to great depths using the astronaut designer helmets which will allow you to continue breathing as you explore the Mauritius undersea world. Grand Bay is one of the safest and most beautiful places you can pick for the underwater tour. To get to Grand Bay underwater location, you will need to reach the destination via a speedboat cruising across the sea to dock at the excursion platform. The diving instructor will then brief you on the best underwater walking skills before you plunge deep into the sea. 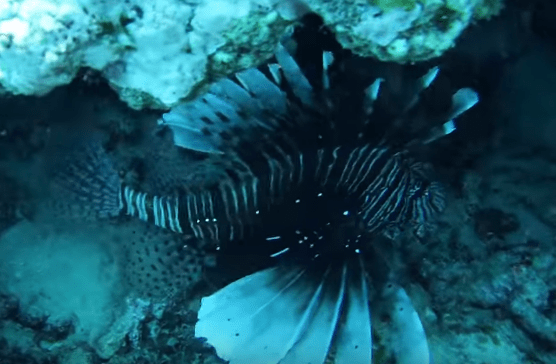 Mauritius marine ecosystem and how to be safe while deep down under the sea waters. One of the reasons that make this beautiful spot best for underwater walking is the stunning reef. It is also possible to walk in between the corals without interfering with the normal marine ecosystem within the Grand Bay marine environment. You will be able to make amazing discoveries by coming across spectacular sea creatures living their normal life in this lagoon under the sparkling ocean blue water. It is a daunting task getting the best underwater spot for under the sea activities. The process requires due diligence, and the organizers look into several factors before locating the best marine sea walking spot. Belle Mare is one of the safest beach lagoons that you can have the best under the water moment 3 to 4 meters deep under the sea. The place is habitually calm and has exceptional visibility making it one of the most appropriate places to see thousands of sea fishes and other marine beasts. It is also a safe place that any person including the kids can be steered to have a fantastic safe 15 to 25 minutes under the water walk on the ocean bed. Accessing Belle Mare is fascinating as you will be able to cruise a crystal and tranquil water to the landing point anchored on the superb long lagoon. At the landing bay, the professional diver will take the crew through the usual underwater sea walk routine on how to use the helmet driving gears, safety measures and also give you tips on how to have the best moments under the sea. The team will allow you to equip with safety gadgets, waterproof still photo and video cameras to ensure the best fun, and educative moment. Professional submarine and marine events companies will supply you with easy-to-wear and efficient safety gadgets. They can also organize photo sessions on request. Underwater activities are more fun when done in a group. It is, however, recommended to notify the excursion organizer on the number of the crew so that they can plan well for an exceptional underwater sea walking experience. You should also ensure that you and your team follow the instructions carefully and adhere to the approved pre-briefing event schedule. All the safety gadgets such as helmet diving gear, must be put on throughout the entire period you will be under the water. In case, you feel any abnormality or discomfort, convey your message to the guide so that they can make the right adjustments. It is a far-sighted move to hire the services of a well established, licensed, highly skilled and friendly sea adventure service provider. Experienced divers will make your underwater sea walk experience gratifying and memorable.